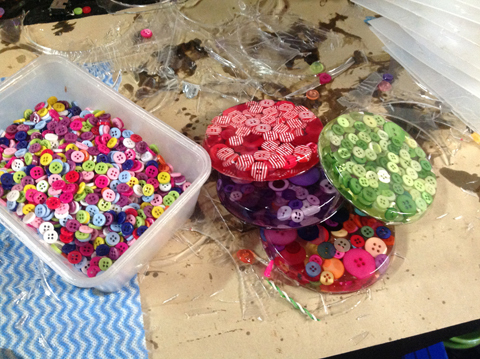 My name is Kylie and I’m the proud owner and operator of Addicted to Buttons. 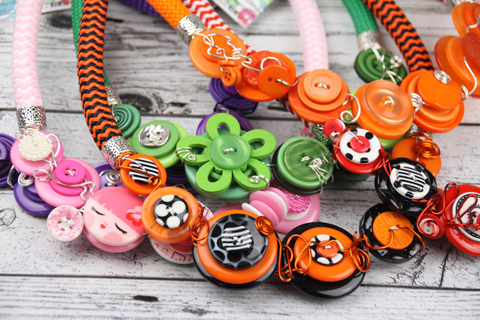 I make quirky and unique jewellery and home wares using buttons sourced from around the country, as well as hand casting many of the buttons ourselves and no two pieces are the same. 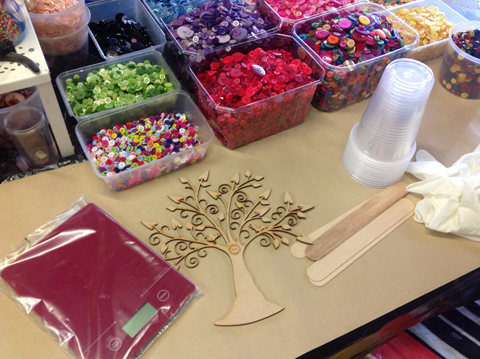 While I do most of the creating, my husband and two children are both directly involved at the many markets we attend each year to complement the online side our business. By day I’m a mild mannered high school teacher (a job I love) but it’s at night that I become a crusader for colour, imagination and inspiration as my creative side has the chance to express itself! The “button room” is my safe haven away from the trials and tribulations of work and being wife and mother in a very busy household. I’ve never really tried to count but my husband often says there must be at least 10 million buttons in the button room! It can be a little cramped between my workbench, shelves creaking under the weight of so many buttons, and my computer work station, but it is also where I feel most alive. I often get home from work and walk in there thinking I’ll just be five minutes and then wonder where the past hour has gone! I’m inspired by so many things but I guess, like many little girls, my love of buttons started with the tins my grandmother used to keep. I can remember tipping them out on the floor and spending hours sorting them by colours and patterns. 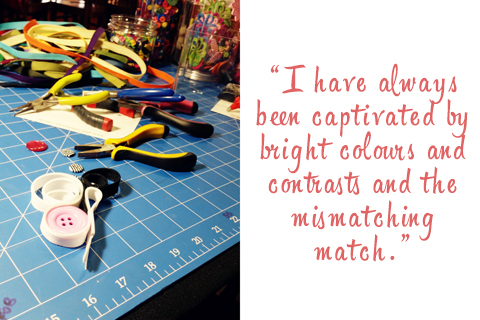 I have always been captivated by bright colours and contrasts and the mismatching match. While I love being a teacher, high school accounting is doesn’t always present that many opportunities to be creative and express myself with colour. 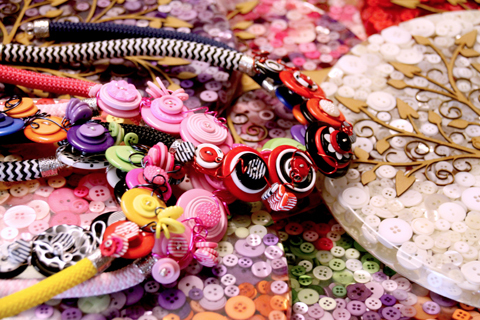 Addicted to Buttons is the brightly coloured blanket I wrap myself in to nurture my creative side. The feedback I receive regularly and which makes me most proud, is when people tell me how much they enjoy wearing my creations and how good they make them feel. My work is a conversation starter and many of my customers tell me how lovely it is to be stopped by people who just want to admire and talk to them about a piece they are wearing. Between working as a teacher as well as caring for a growing family, my life can be fairly chaotic. 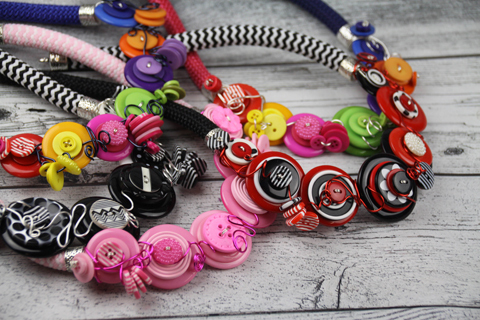 Addicted to Buttons provides me with a sanity release – a chance to put thoughts of assignment marking or getting the boys to football training or music lessons aside for a few hours and immerse myself in what makes me truly happy. I first started dabbling in all things creative when I was still a teenager and I’ve maintained the same enthusiasm for vivid colours and eclectic designs ever since. 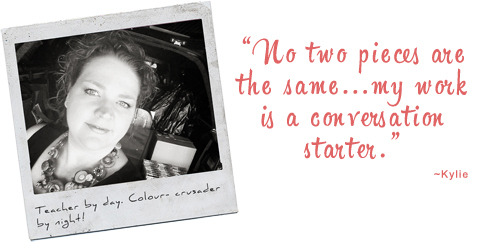 In the years since, what was initially just fun for me, has evolved naturally over time to the point where I am now running a successful business. 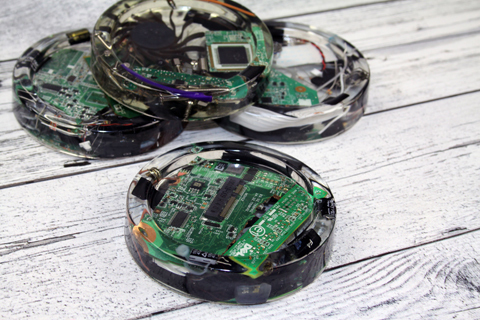 Aside from buttons, I have over the last few years, developed a fascination with using disused computer parts in some of my pieces. 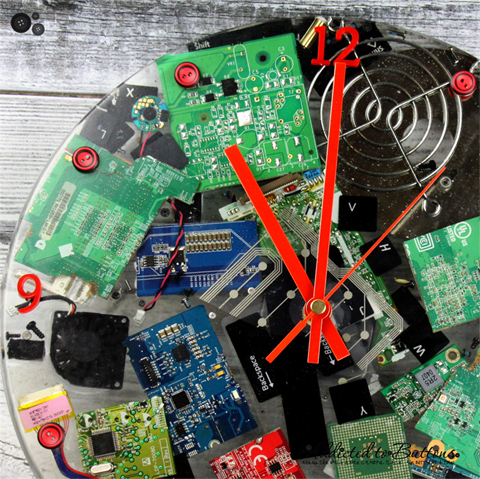 What started as an experiment with the remnants of an old computer at home, has now evolved to the point where I have a line of clocks, drink coasters and some jewellery pieces, all using microchips and other innards from old computers. I like to think that in a small way I’m contributing to a more environmentally conscious society by repurposing parts which would otherwise end up in landfill. The most important thing I’ve learned over the years of toil, experimentation, failure and success, is that you only get out of your business what you put in and if you love what you do it makes it all worthwhile. 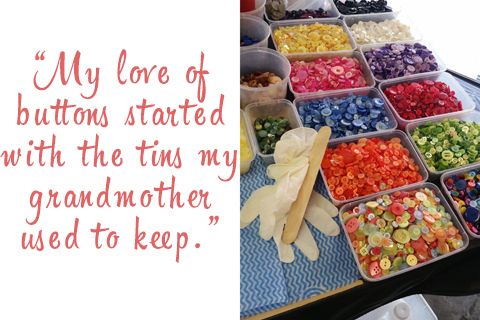 Handmade products tell their own story and you can see the love and care that goes into making something in a craft room, a shed, a garage - someone’s happy place. They tell the story of their creator and you can see the many hours of dedication and passion they have put into refining their craft. Mass produced goods simply cannot give you the same “good vibes” you receive from a handmade product. How can you compare one of a thousand units made in an hour by a machine with a single item which may have taken a whole day to create? I’ve been a proud seller on Made It almost since it first opened and we have always been a great partnership. 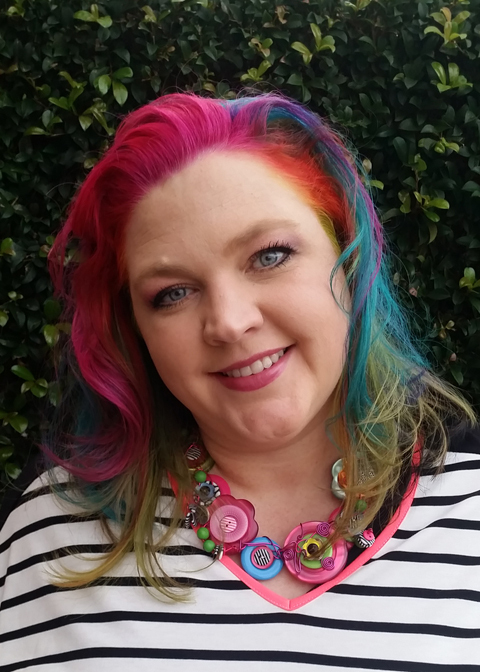 Made It is a trusted online selling platform which has always worked extremely well for my business and allows me to focus my energy on creating rather than devoting time to coding and maintaining my own online store. 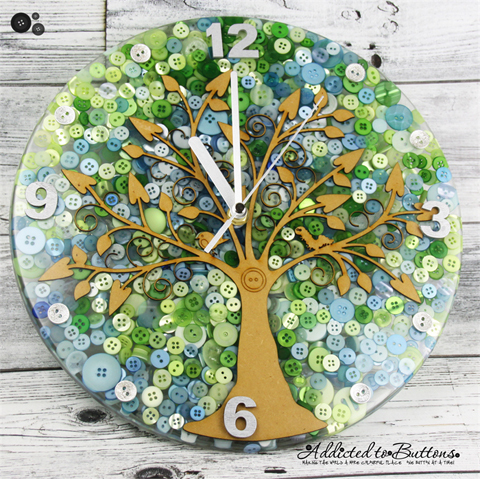 Addicted to Buttons is very proud to be an Australian owned and operated business and being able to sell our products on an Aussie selling platform has always been important to me.